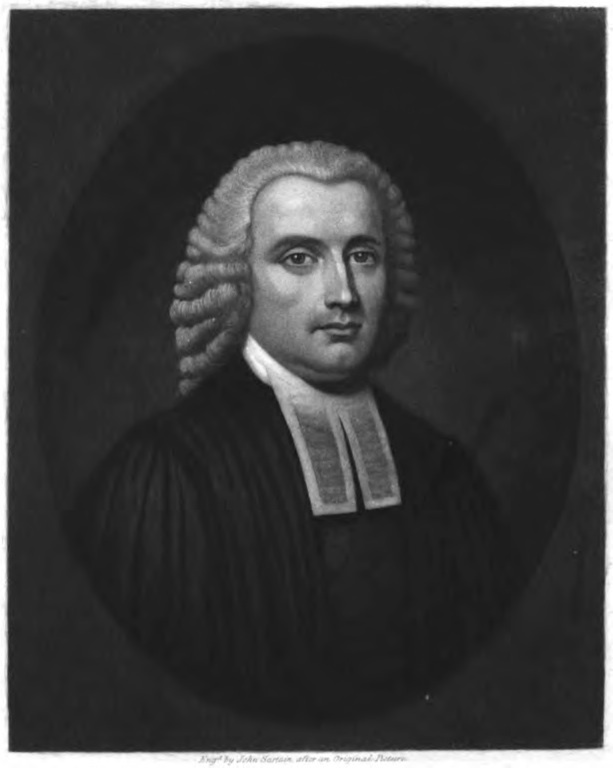 Israel Acrelius – missionary, minister, drinks menu author. Wikimedia. There was probably an endless variety of alcoholic drinks consumed in early America, many of which were never recorded. Fortunately, a few people took a moment to note some of their favorites, but none seems to be as wide-ranging as the drinks list recorded by Reverend Israel Acrelius in his A History of New Sweden:or, The settlements on the River Delaware, which relates the history and then-current state of the Swedish churches in Pennsylvania, Delaware, and New Jersey through the mid-1750s. The title and description are somewhat misleading, as he discusses just about every aspect of daily life in mid-eighteenth-century Pennsylvania, hence the drinks list. In all, Acrelius mentions 48 drinks, 5 of which are cider related (#14, 15, 16, 17, & 30, highlights added below). Though it’s not the largest proportion, cider gets the single most attention of any drink. He spends three paragraphs alone on cider (what Germanic people called and still call apfelwein or apple-wine). Acrelius seems to have the unusual view that cider was not popular in Pennsylvania, due to old and new cider being mixed or it being drunk before it’s ready. While he may be right in saying Pennsylvania cider had several faults, it’s difficult to corroborate his statement that it wasn’t popular or that people stayed away from it. 8. Madeira wine, which is altogether the most used. 9. Sangaree is made of wine, water, sugar, a dash of nutmeg, with some leaves of balm put in. 10. Hot wine, warmed wine, is drunk warm, with sugar, cardamoms, and cinnamon in it. Sometimes, also, it has in it the yolks of eggs beaten up together, and grains of allspice, and then it is called mulled wine. 11. Cherry wine. The berries are pressed, the juice strained from them, Muscovado or raw sugar is put in; then it ferments, and, after some months, becomes clear. 12, 13. Currant wine, or black raspberry wine, is made in the same manner. 14. Apple-wine (cider). Apples are ground up in a wooden mill, which is worked by a horse. Then they are placed under a press until the juice is run off, which is then put in a barrel, where it ferments, and after some time becomes clear. When the apples are not of a good sort, decayed or fallen off too soon, the cider is boiled, and a few pounds of ground ginger is put into it, and it becomes more wholesome and better for cooking; it keeps longer and does not ferment so soon, but its taste is not so fresh as when it is unboiled. The fault with cider in that country is that, for the most part, the good and the bad are mixed together. The cider is drunk too fresh and too soon: thus it has come into great disesteem, so that many persons refuse to taste it. The strong acid (vinegar?) which it contains produces rust and verdigris, and frightens some from its use, by the fear that it may have the same effect in the body. This liquor is usually unwholesome, causes ague when it is fresh, and colic when it is too old. The common people damask the drink, mix ground ginger with it, or heat it with a red-hot iron. 15. Cider Royal is so called when some quarts of brandy are thrown into a barrel of cider along with several pounds of Muscovado sugar, whereby it becomes stronger and tastes better. If it is then left alone for a year or so, or taken over the sea, then drawn off into bottles, with some raisins put in, it may deserve the name of apple-wine. 16. Cider Royal of another kind, in which one-half is cider and the other mead, both freshly fermented together. 17. Mulled cider is warmed, with sugar in it, with yolks of eggs and grains of allspice. Sometimes, also, some rum is put in to give it greater strength. 18. Rum, or sugar-brandy. This is made at the sugar plantations in the West India Islands. It is in quality like French brandy, but has no unpleasant odor. It makes up a large part of the English and French commerce with the West India Islands. The strongest comes from Jamaica, is called Jamaica spirits, and is the favorite article for punch. Next in quality to this is the rum from Barbadoes, then that from Antiguas, Montserrat, Nevis, St. Christopher’s, etc. The heaviest consumption is in harvest-time, when the laborers most frequently take a sup, and then immediately a drink of water, from which the body performs its work more easily and perspires better than when rye whiskey or malt liquors are used. 19. Raw dram, raw rum, is a drink of rum unmixed with anything. 20. Egg dram, eggnog. The yolk of an egg is beaten up, and during the beating rum and sugar poured in. 21. Cherry bounce is a drink made of the cherry juice with a quantity of rum in it. 22. Bilberry dram is made in the same way. 24. Mämm, made of water, sugar, and rum, is the most common drink in the interior of the country, and has set up many a tavern-keeper. 25. Manatham is made of small beer with rum and sugar. 26. Tiff, or flipp, is made of small beer, rum, and sugar, with a slice of bread toasted and buttered. 27. Hot rum, warmed with sugar and grains of allspice; customary at funerals. 28. Mulled rum, warmed with egg-yolks and allspice. 29. Hotch pot, warmed beer with rum in it. 30. Sampson is warmed cider with rum in it. 31. Grog is water and rum. 32. Sling, or long sup, half water and half rum, with sugar in it. 33. Mintwater, distilled from mint, mixed in the rum, to make a drink for strengthening the stomach. 34. Egg punch, of yolks of eggs, rum, sugar, and warm water. 35. Milk punch, of milk, rum, sugar, and grated nutmeg over it; is much used in the summer-time, and is considered good for dysentery and loose bowels. 36. Sillibub is made of milkwarm milk, wine, and sugar, not unlike our Oelost [mixture of warm milk and beer]. It is used in summer-time as a cooling beverage. 37. Milk and water is the common drink of the people. 38. Still liquor, brandy made of peaches or apples, without the addition of any grain, is not regarded as good as rum. 39. Whisky is brandy made of grain. It is used far up in the interior of the country, where rum is very dear on account of the transportation. 40. Beer is brewed in the towns, is brown, thick, and unpalatable. Is drunk by the common people. 41. Small beer from molasses. When the water is warmed, the molasses is poured in with a little malt or wheat-bran, and is well shaken together. Afterwards a lay of hops and yeast is added, and then it is put in a keg, where it ferments, and the next day is clear and ready for use. It is more wholesome, pleasanter to the taste, and milder to the stomach than any small beer of malt. 42. Spruce beer is a kind of small beer, which is called in Swedish “lärda tidningarne” (learned newspapers). The twigs of spruce-pine are boiled in the malt so as to give it a pleasant taste, and then molasses is used as in the preceding. The Swedish pine is thought to be serviceable in the same way. 43. Table beer made of persimmons. The persimmon is a fruit like our egg-plum. When these have been well frosted, they are pounded along with their seeds, mixed up with wheat-bran, made into large loaves, and baked in the oven. Then, whenever desired, pieces of this are taken and moistened, and with these the drink is brewed. 44. Mead is made of honey and water boiled together, which ferments of itself in the cask. The stronger it is of honey, the longer it takes to ferment. Drunk in this country too soon, it causes sickness of the stomach and headache. 45. Besides these they also use the liqueurs called cordials, such as anise-water, cinnamon-water, appelcin-water, and others scarcely to be enumerated, as also drops to pour into wine and brandy almost without end. 46. Tea is a drink very generally used. No one is so high as to despise it, nor any one so low as not to think himself worthy of it. It is not drunk oftener than twice a day. It is always drunk by the common people with raw sugar in it. Brandy in tea is called Iese. 47. Coffee comes from Martinica, St. Domingo, and Surinam; is sold in large quantities, and used for breakfast. 48. Chocolate is in general use for breakfast and supper. It is drunk with a spoon. Sometimes prepared with a little milk, but mostly only with water.